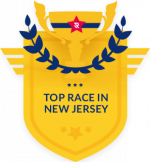 The Midland Park 5K is one of the best races in New Jersey! Check it out! The Midland Park Public Education Foundation (MPPEF) will host its 5th Annual 5K Run For Education on Saturday, September 15, 2018 (RAIN OR SHINE)! This annual event is USA Track & Field NJ Certified and kicks off at 9:00 a.m. at the DePhillips Center, 50 Dairy Street, Midland Park. A Kid’s Fun Run for ages 6 – 10 years old will follow at 10:15 a.m.
*Team Competitions available for the 5K! Would you AND YOUR CHILD like to get ready for the race? An adult and YOUTH Couch To 5K program will be available in the eight weeks leading up to the 5K! The cost for the program is $35 which includes one free race entry. Please contact Shannon Shortway at sshorty213@aol.com for more information. There are many opportunities to help out at the Midland Park 5K!